I took in the San Diego Auto Show a couple of days ago at the Convention Center downtown and I found it interesting, as I usually do. The SD Auto Show does not feature nearly as many exotics as the auto shows in NY and LA, but there is usually a very extensive field of what one might call “regular” sports cars, sedans, compacts and SUV’s and that was the case this year. If you want to see Ferrari’s, Porsche’s and Lambo’s you won’t find them at the SD Auto Show, although Aston Martin, Lotus, BMW and Mercedes-Benz were represented there this year. 1) The Dodge Charger. This car is just the very essence of American brute force. Dodge’s design team did a great job with the redesign of this monster. 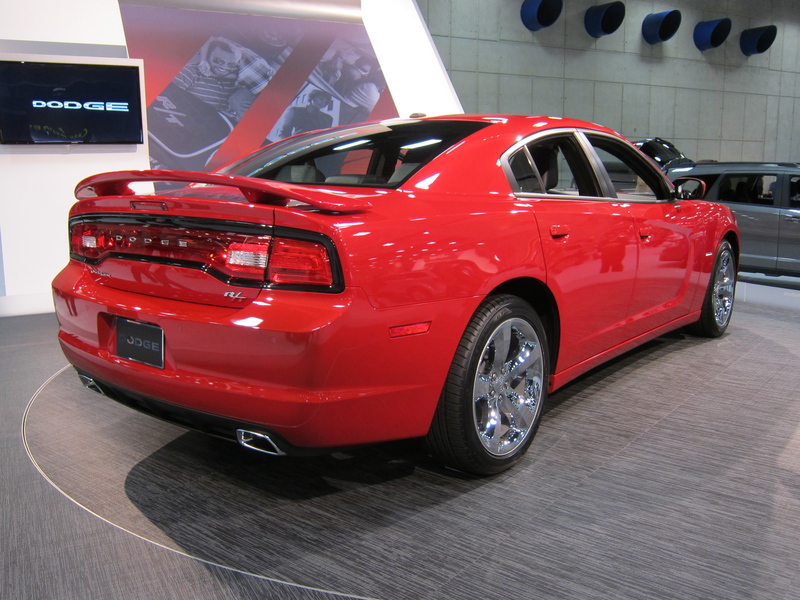 The R/T model, pictured below, has 370 HP. The SRT model is even more powerful, with an engine which generates 470 HP. 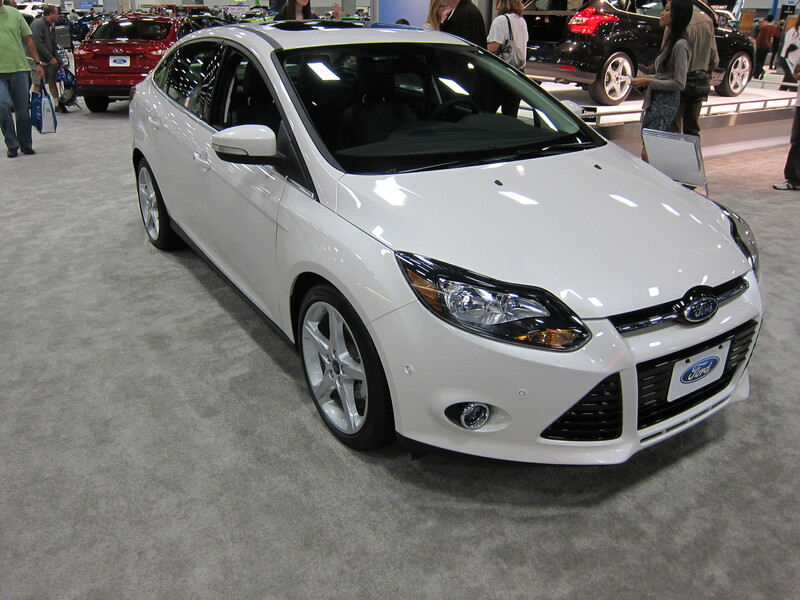 2) Ford Focus. I think this Ford is outstanding in many ways and the best overall car in compact class. That is not an insignificant accomplishment because the competition is stiff from Honda, Toyota, Hyundai and even from rival Chevy, with the formidable Cruze. The Focus is sleek and sporty, as well as very practical. It is nice to see the American car companies raise their game and finally produce cars that can compete with the best foreign cars in the compact class. The Focus has a 160 hp engine and fuel economy is rated at 26/36 mpg. 3) Honda Civic CNG. 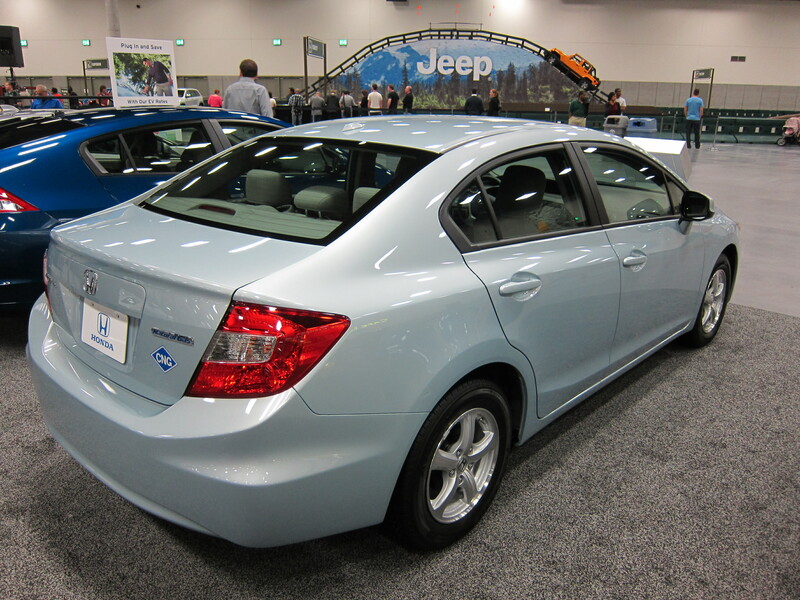 A few other car maker’s are working on CNG vehicles, but this version of the Honda Civic is still the only regular passenger car made by a major manufacturer that runs on Natural Gas, which I don’t completely understand given the low cost and the abundant supply of Nat Gas. The Civic CNG costs about $27,000.00. Engine is rated at 110 HP. Fuel economy is the equivalent of 27/28 mpg. 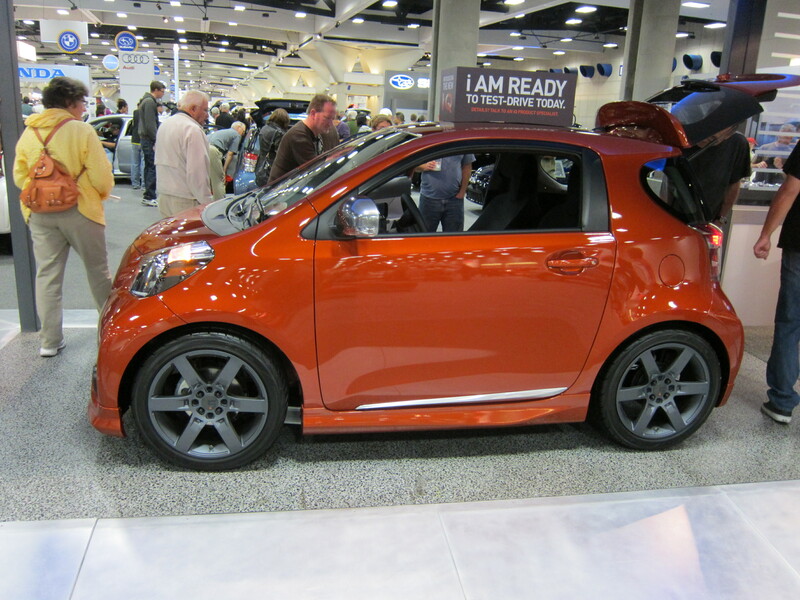 4) Scion IQ. The IQ is a very cool mini car. I took a seat in it and found it surprisingly roomy and I’m 6′ 1″, 200 lbs. MPG is 36 city/ 37 highway. I can’t say I would want to use this car for long trips on the freeway, but I think it would make a great little commuter car. It costs about $16,000.00. The 1.3L engine is rated at 94 HP. Fuel economy is 36/37 mpg. 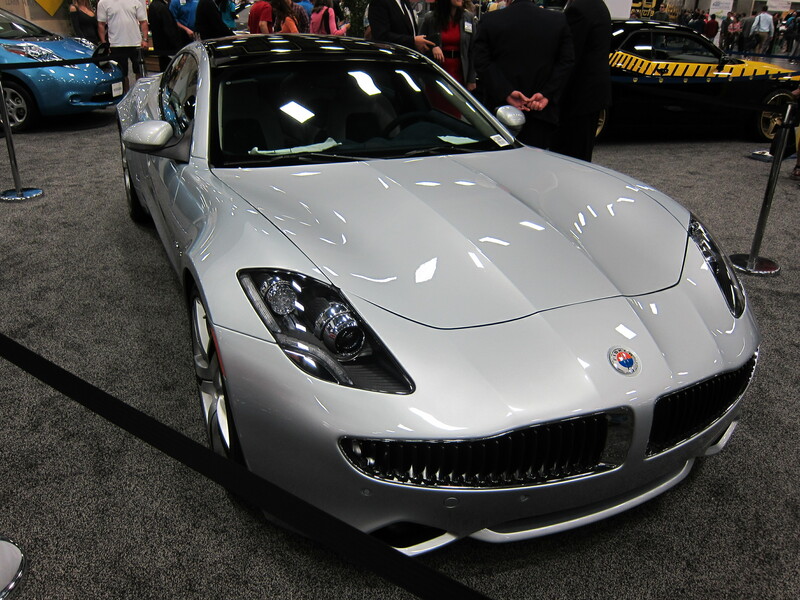 5) The Fisker Karma. The new Karma is the coolest looking electric vehicle on the road today imo. Unfortunately, with a price that exceeds 100K very few will be able to afford it. It is similar to the Chevy Volt in that it has a gasoline powered engine that will kick in when the battery is drained so you don’t have to be concerned about range. However, I’m not sure that Fisker or EV rival Tesla are going to make it in the long run because I think we still at least 5 to 10 years away from the public buying EV’s in large numbers. I think price points for EV’s have come down substantially, re-charge times have to be reduced to under 1 hr and a much more extensive network of EV charging stations has to be built in the U.S. before most Americans will feel comfortable buying EV’s. 6) The Mecedes-Benz SL550. A classic convertible. I love the sleek, elegant design of this car. 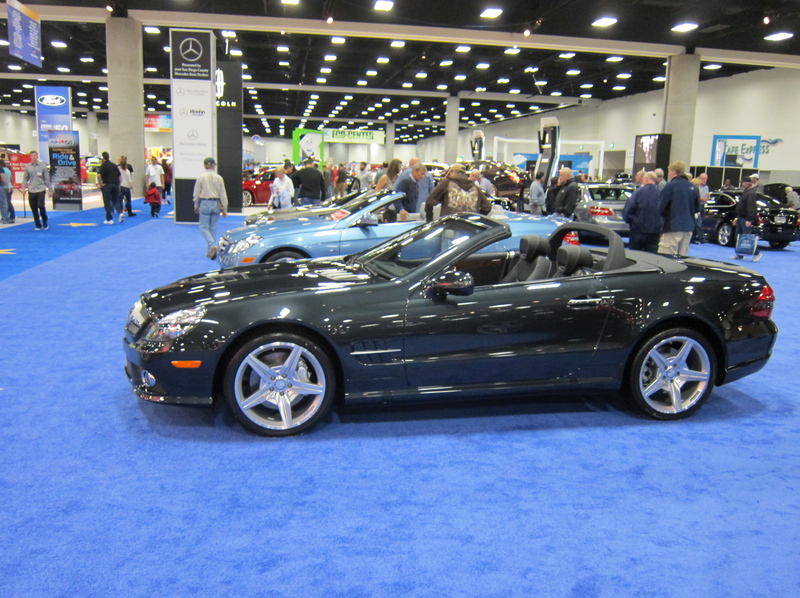 If I could choose only one car at the show to use for a trip up California’s coast on Highway One it would be this Benz.